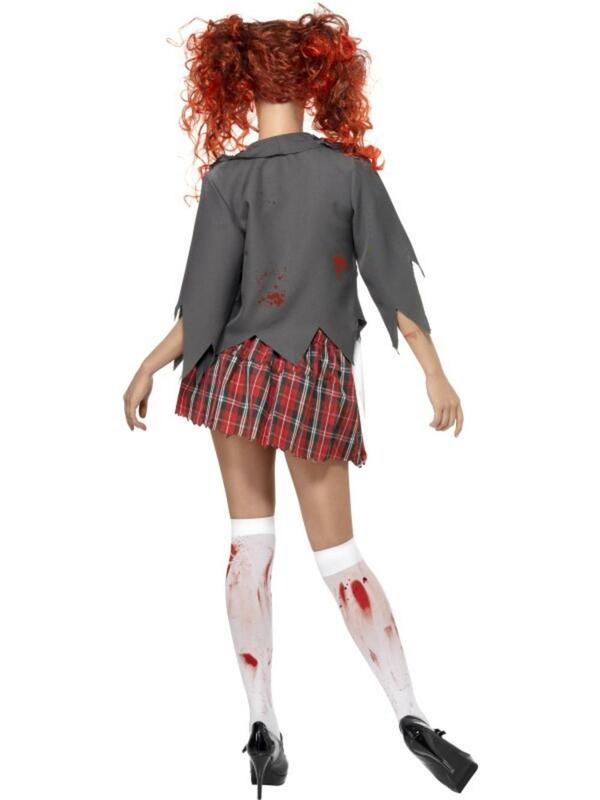 Everyone loves a School Girl Fancy Dress Costume and this horrific twist on the classic outfit is sure to make a big impression at any fancy dress party! The haunting costume contains everything for turning you into a pupil at the high school of horror and comprises of a short tartan skirt with torn hemline to give you a realistic zombie look, a torn grey jacket with attached white blouse perfectly decorated with realistic looking fake blood. The costume is completed with a red and black torn tie. 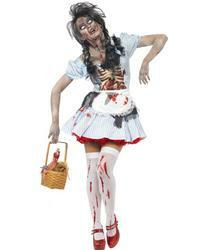 To complete the look simply add some white facepaint and apply additional fake blood. 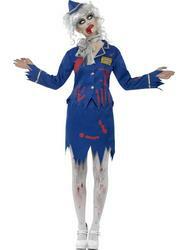 This gruesome costume is perfect for any fancy dress party but a massively popular choice for Halloween! Red and black torn tie.